If the DCEU is really as badly in need of some attitude, insanity, and heartwarming humor, then let's face it: the time has come for Red Hood & The Outlaws to make their mark on DC's movie universe. While the Justice League may hold the spotlight for now, there's no denying that the DCEU landscape is about to change. It only makes sense for Batman to get a solo movie of his own, but if his former sidekick Nightwing is getting a movie, and Joss Whedon's Batgirl is moving ahead... how long until Jason Todd is given his own shot at greatness? No, we're not talking about an adaptation of Jason Todd's return in "Under the Red Hood" (a good story, but not the best option). With Suicide Squad showing a demand for superpower-gunslingers alongside costumed superheroes, and DC's willingness to make R-Rated movies... it's about time people started looking to Red Hood & The Outlaws for an answer. The title has always been something of a counterculture adventure, but with the DC "Rebirth" pairing the former Robin with brand new partners, the comic itself is begging to be adapted to film. Picture it: a former Robin grown into his own occasionally-too-violent vigilante. An Amazon warrior of the modern age. A Superman clone with all the powers, but none of the angst. Writer Scott Lobdell and artist Dexter Soy made The Outlaws a hit in DC's "Rebirth"... with the right director, this Red Hood story could be everything that DC wanted Suicide Squad to be - while having its feet planted squarely in the Justice League's biggest heroes. As the devoted Bat-fans already know, Jason Todd is in the DCEU's history already, as evidenced by his burned-out former uniform resting in Bruce Wayne's Batcave. And while the story that led to Joker beating Robin to death is a famous one (and one that could be given in DCEU's coming flashbacks), the most promising part of Jason's story - comes after his death. Well, technically after his resurrection. Which is why fans have been begging to see "Under The Red Hood" adapted into Batman's next movie. But as good a story as it may be, the return of Jason, the taunting of Batman for allowing his death and not avenging his loss, and the ultimate 'twist' would be treading familiar ground post-BvS (while being the exact kind of grim, troubling subject matter that has brought criticism to the DCEU). If the alternative option is to leap past that rebirth and into Jason Todd's own role as a Gotham City vigilante... the opposite tone and worldview is possible, while still being true to the character. After years spent finding his way under Batman's judgmental gaze (or so Jason thinks), the Red Hood decides to prove his former mentor wrong... and finds some unlikely teammates. With Wonder Woman reigning supreme in the DCEU, the fan demand to see more of the Amazons, more of Themyscira, and more female leads period is at a high. But ask a DC Comics fan, and they'll tell you that the DCEU has only scratched the surface of the Amazon culture and history. Diana may emerge as the Amazon in the spotlight from the very start, but a main circle of supporting characters have distinguished themselves in Wonder Woman stories for years. In terms of true wild cards - traditionally possessing nearly all of Diana's own gifts - there's none better than Artemis. Introduced as an ally to Diana in the comics, Artemis would go on to claim the role of Wonder Woman in her absence. But to those thinking that a DCEU Artemis would simply be "another Amazon" and seem like a retread, there's an important distinction: Artemis doesn't come from Themyscira. She hails from the Amazons of Bana-Mighdall, the descendants of Amazons who chose not to hide on Paradise Island. We say "descendants" because unlike those of Themyscira, the Amazons of Bana-Mighdall have lost their immortality. They are true Amazons... but given perspective on life only possible to human beings. That alone would make Artemis an interesting character to dissect, but stepping into a world in which Wonder Woman is now world famous has its drawbacks. 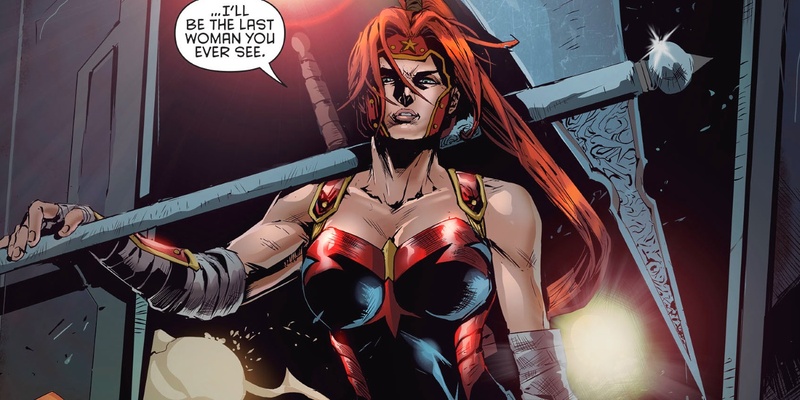 The humor and attitude brought with Artemis is based in the fact that she is absolutely not like Wonder Woman - a lesson Jason first learns when referring to her as "princess." Where Red Hood gives the right writers and filmmakers a chance to offer some meta commentary on the real world's perception of Batman, Artemis presents the same for the morally righteous, unflappable, bleeding heart-ed Diana... while also adding another brutally powerful and fearsome female fury to the DCEU. He am Bizarro. He am bad. Which means good, despite the fact that (in the Rebirth fiction) he was created as a clone of the Man of Steel for Lex Luthor's own mysterious purposes. And while "Bizarro" may be known as simply the backwards, reverse, and often villainous-or-misunderstood opposite of Superman, Red Hood and Artemis allowed him to be so much more in his latest incarnation. 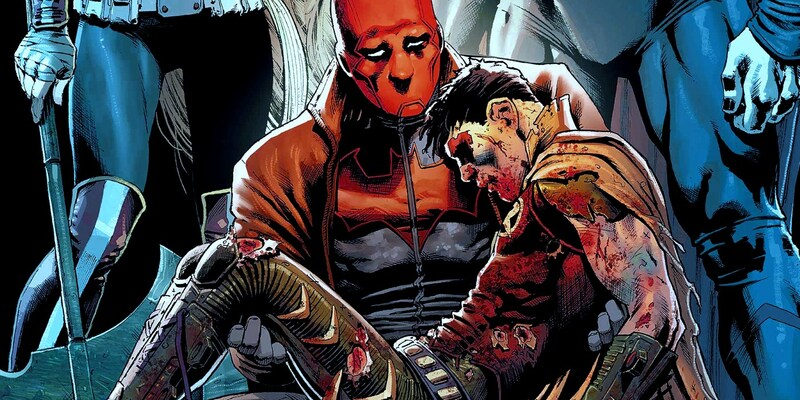 Few would have guessed that Jason Todd's own experiences with life, death, and the troubling changes along the way would make him the perfect parent for a twisted take on the Man of Steel. But that is definitely the case. To be clear, Bizarro isn't actually a physical copy of Superman, and therefore wouldn't be played by Henry Cavill. What started as a Superman clone takes on a life of his own, with the body of a Kryptonian demigod... and the mind of a child. That's a recipe for slapstick and comedy, but a Frankenstein-esque monster trying his heart out to be the same kind of hero as Superman (his personal hero and idol) has... well, heart. And where Artemis sees him as a lost cause or a loose cannon, there's nobody better than Jason Todd to see the potential in a broken soul. And he's got a bit of a soft spot for a baby brother. With the three united, the "Dark Trinity" of DC Comics could be born. A Dark Knight tormented by his own demons, but nevertheless determined to do something worthwhile outside of Batman's shadow. An Amazon warrior with a chip on her shoulder and some complicated thoughts on Wonder Woma-- sorry, Hippolyta's daughter. And finally, a "failed" attempt to create another Superman who turned out to be a child in need of love - and who could stop a nuclear missile with a smile on his face. It's a motley crew if there ever was one. But where the Suicide Squad formed a family of misfit killers, thieves, and psychopaths who began and ended in prison, a film following Red Hood & The Outlaws would forge a family of misfit heroes into a second Trinity for those on the fringes of DC's movie universe.